Here's the list of events to watch out for on March 25 in this Lok Sabha election season. New Delhi: Amid ongoing campaign for the Lok Sabha and four state assembly elections, here are the three events to watch out for on Monday that will have a high impact. 1. The Indian National Congress’s top decision-making body, the Congress Working Committee, will meet to discuss the preparedness for the Lok Sabha polls at 11 AM on Monday. The outcome of the meeting will impact the party’s election strategy including the rejigging of the alliances. 2. Monday will mark the last date for filling nomination for the first phase of the Lok Sabha election. Some of the party rebels who couldn’t make it to the respective party lists might file the nomination papers on Monday. 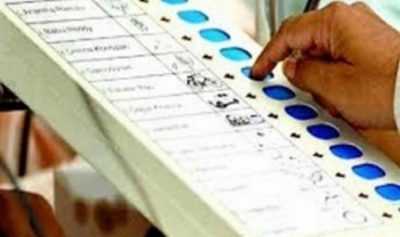 In the first phase, all 25 Lok Sabha seats in Andhra Pradesh and all 17 seats from Telangana will vote on April 11. 3. On Monday, the Supreme Court is likely to hear a plea against Samajwadi Party chief Akhilesh Yadav and his father Mulayam Singh Yadav in disproportionate assets case. Any unfavourable outcome or remarks against them will have political ramifications during the election season. The case was filed in 2005. Apart from the above big events, the campaign for the Lok Sabha polls and other state assemblies is in full swing with politicians trading charges against each other. In Mathura, Uttar Pradesh Chief Minister Yogi Adityanath will address a rally in support of BJP candidate Hema Malini.